With the NFL Draft set to begin on April 26, time is running out to sell running backs who could potentially lose their starting job to an incoming rookie. Every year we see at least a few incumbents see their dynasty value plummet after their team drafts a rookie to compete for the starting job. For example, last year we saw Spencer Ware lose value after Kareem Hunt was drafted by the Chiefs in round 3. Similarly, Latavius Murray went from the Vikings’ starter to a backup after Minnesota traded up in round 2 to select Dalvin Cook. This exact same scenario could happen again this year, and it might be time to move on from these running backs before their value drops, making them an untradeable dynasty asset. 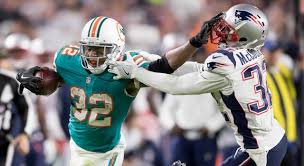 No one saw their dynasty stock rise more in one season than Kenyan Drake, who went from being an afterthought to one of the best fantasy backs in the league during the second half of the season. 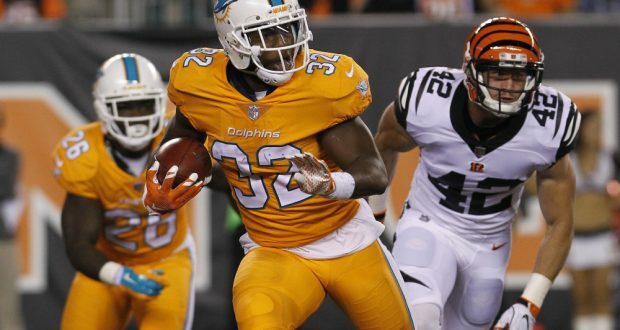 After Jay Ajayi was traded to the Eagles and Damien Williams was placed on injured reserve with a dislocated shoulder, Drake was electric as the team’s starter. From Weeks 13-17, Drake averaged 119 yards from scrimmage, proving to be effective in both the run game (4.9 YPC) and passing game. During that time period, Drake was the 8th best RB in PPR formats. However, the writing is on the wall for Kenyan Drake. Adam Gase and the Dolphins’ front office simply do not want to make Drake their go-to guy, and they certainly don’t view him as a three-down back. After bringing in guys like Demarco Murray and Frank Gore in free agency (and later signing Gore), it’s clear Miami wants to utilize an RBBC. Additionally, news just surfaced that the Dolphins were in trade talks once again with the Broncos to bring in C.J. Anderson, but these trade talks fell through. I do think Drake will have a role in Miami in 2018, but I envision him being the change of pace back and not the starting running back that he’s being treated as right now. Speaking of C.J. Anderson, sell him before it’s too late. 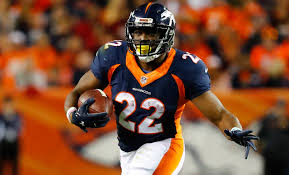 Anderson has been involved in trade rumors all offseason with beat reporters claiming that the Broncos are ready to make Devontae Booker their lead back. Personally, I’m not a big Booker fan, but the opportunity could be there if Denver truly does move on from C.J. Anderson and his $4.5M cap hit. The Broncos can cut Anderson without any dead cap money, making this an option too. Anderson is making a decent amount of money for a back who’s only surpassed 1,000 yards once in his career. It’s possible the Broncos are ready to go in a different direction with a rookie or Booker in 2018. 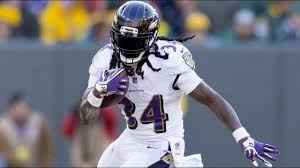 Alex Collins made a name for himself in 2017 with the Baltimore Ravens. After being drafted by the Seahawks in the 2016 draft, Collins struggled to make his way to the top of the depth chart and was cut just before the start of the 2017 season. The Ravens gave him a second chance after losing Kenneth Dixon to a torn meniscus during the offseason, and he didn’t look back. 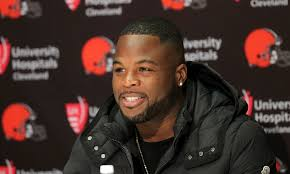 Once Collins was consistently starting over Terrance West, he put up a solid stat line of 175/712/6 from Weeks 6-17. With Terrance West now off the roster, Collins is the clear #1 in Baltimore heading into the NFL Draft, but this could quickly change if the Ravens use their first or second round pick on one of the top backs in this draft. 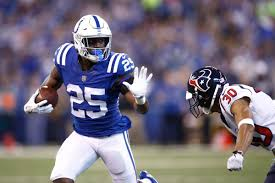 The Marlon Mack truthers out there aren’t going to like this one, but there’s no way the Colts head into 2018 with Mack as their top back. 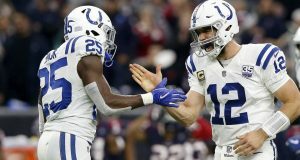 Mack showed flashes in 2017 in a change of pace role behind veteran Frank Gore, but he only received double-digit carries just twice all season (10 in Week 1 and 11 in Week 8). In my opinion, if the Colts were going to see what they had in Mack, last season would have been the time to do it. They lost Andrew Luck for the season and limped to the finish line with a 4-12 record, so why didn’t they give Mack more run? Their lost season landed them the 3rd overall pick in the draft but after a trade with the Jets, they now own the 6th pick in the draft. The Colts have many needs in the draft, but if Saquon Barkley makes it to them at #6, Mack’s value could reach an all-time low. The Colts’ front office has been vocal saying that they are eyeing the top backs in this class. They will most certainly draft a running back or two at some point during this draft, it’s just a matter of when. The Browns were most certainly going to move on from Isaiah Crowell after a lackluster season in 2017, and they have done that with the signing of Carlos Hyde in free agency to a 3-year deal worth $15M. 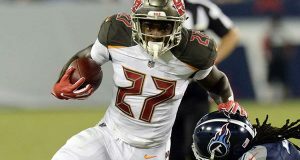 With Duke Johnson locked into the pass-catching role, Hyde is alone at the top of the depth chart for early-down work, but that could change in just a few short weeks. 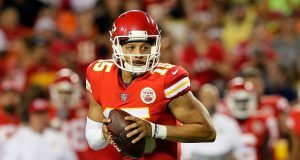 The rumors of Barkley to the Browns with the first overall pick seem to have faded after more recent mock drafts and rumors suggest that the Browns will go with a QB at #1. However, they still own the 4th overall pick, and Barkley if very much in play here. If they draft the Penn State RB with this pick, it’s hard to see a world where Hyde will be fantasy relevant as a member of the Browns. Out of all the guys on this list, Hyde arguably has the most to gain or lose come draft night. If you can get low-end RB1, high-end RB2 prices for Hyde, sell him with confidence.